Each member of our team brings experiences from a variety of personal and professional backgrounds, education and training. Collectively, we’ve acquired and developed skills and interests across a broad spectrum. We’ve invested in our families and homes, we’re involved in our community and we’re passionate about keeping it local. We know what it takes to operate a small business and we know the satisfaction that comes from staying connected to the people and businesses that stay connected to us. Fran’s political idealism in her teens translated into specifics of community service during the years that she raised her daughters, taking roles that ranged from girl scout leader, choir mom and PTA volunteer to local political office, all while sharing management of a family-owned design/manufacturing business. A native of Baltimore County, she had lived in Philadelphia’s Main Line and in London before relocating to Harford County, where she and her husband Wayne are renovating an 1890s shotgun house in Bel Air. Despite the enticements of gardening and handcrafts and visits to her daughters in San Francisco and NY, Fran remains committed to community involvement. Sandy utilizes her natural talents and flair, along with her business and corporate communication degrees from the University of Baltimore. She has been in the design and marketing industry for over 28 years, initially for other firms and for the last 20 years as the owner of Sonipak Design & Marketing, providing design, advertising and marketing services for regional and national businesses. She currently balances her agency work with the welcome demands of motherhood and assisting her husband Kevin with the operations of Kapinos Builders, a home improvement company. In addition to volunteering at school, church and activities for her three children Garrett, Lars and Gwenivere, Sandy has served on several boards and participates in coordinating fund-raising events and assists in marketing for a number of local non-profit organizations. She’s a devoted friend and animal lover (with one crazy Irish Setter and one little Chi-weenie), passionate concert-goer, fascinated by medieval history and art, and an energetic decorator, gardener and cook. After earning her MS in mathematics, Maria rediscovered her real passion in art. She took a few detours through teaching, property management, antique dealership and home renovation, as well as volunteering with community groups such as the Harford Artists Association, to establish herself as an award-winning portraitist and muralist. Her passion for artistic expression has its roots in her commitment to her community in northern Harford County. In following her own dream, Maria “gets it” about small business owners and about supporting local endeavors. Like most of the team, she’s a pet owner, with a menagerie of dogs, ducks and parrots. Melissa’s affection for Harford County dates to 1986, when she moved here after graduation from high school. Her passion for Keeping it Local and her appreciation for the economic realities of small businesses is based on her experience in banking and retail sales and as a business owner. Her previous role as Events and Promotions Coordinator for the Bel Air Downtown Alliance widened her connections with the business community and deepened her understanding of the complex interconnections among local businesses. Melissa is a member of CPWN, and attends many other networking groups around the county. Aside from advertising sales, her role as community liaison for the magazine has forged many wonderful partnerships with non-profits, businesses, and schools in our area. Melissa continues to broaden Harford’s Heart’s reach and strives to bring businesses and consumers together. 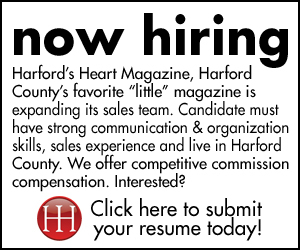 Harford’s Heart has found a treasure in Melissa, who adds another dimension to our team. 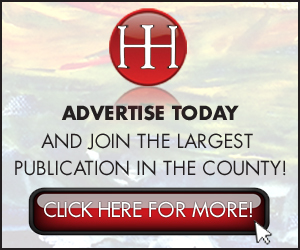 Danielle is one of the newest additions to Harford’s Heart magazine. Raised in Harford County, Danielle attended University of Maryland where she received her Bachelors’ Degree in Communications. Danielle has worked in a variety of sales roles in different industries from hospitality to retail and landscaping. She is passionate about serving others and participates in local non-profit events as a volunteer. As a mom to a three-year-old boy, Joel, she is always looking for activities they can do together. Danielle is excited to connect others to resources and opportunities to have fun in their local community. Bonike is our first sales team member from Northern Baltimore County! We are thrilled to have her on board. Bonike has almost 20 years of advertising /marketing experience most recently as a Marketing Specialist for 95.1 SHINE FM and prior for over 12 years as an account executive with the Baltimore Sun Media Group. “I enjoy helping clients think of innovative ways to meet their goals whether that’s bringing in new leads, gaining market exposure through branding or sharing information about their business with editorial content. I’m looking forward to doing that Locally for your business in Harford or Baltimore County through Harford’s Heart.” Bonike and her husband live in Northern Baltimore County and in her spare time she enjoys spending time with extended family, cooking, shopping, praise dance, exercise and travel. Carol Deibel served as the Director of Planning and Community Development for the Town of Bel Air for twenty six years, developing the town’s first historic preservation program and overseeing development as the town grew from a small rural community to a major suburban center. This experience placed her in a unique position to document the history of this community. Ms. Deibel is co- editor of Marilynn M. Larew’s book, Bel Air: An Architectural and Cultural History 1782 – 1945; editor of the Historical Society of Harford County, Inc, bi-monthly newsletter; and author of several publications and articles for the Town of Bel Air, the Historical Society of Harford County and several local boards and commissions. She is currently working on an oral history project with the Harford County Historic Preservation Commission, collecting stories from Harford County residents about their lives and experiences in Twentieth Century Harford County. She serves on the Board of the Bel Air Downtown Alliance, and is the Vice President of the Historical Society of Harford County, Inc. The efficiency of our website and email accounts is due to technical support from Chip, through his firm, The Emely Group. He and his wife Mandie run the company, offering web solutions, Internet marketing and professional photography services to small businesses throughout the Mid-Atlantic Region, from their home office in Street. Their business shares their home with their two sons, Cameron and Max. Chip’s first-hand management experience, along with his considerable technical skills, enables him to find solutions that work best for other small business owners. Howard Hundley has lived in Harford County since 1968 and has been fishing Harford’s streams since he was 3. His first catch, on an overcast morning in May, was a 4″ perch and he became hooked on the experience, connecting with nature and the thrill of the sport. He has completed courses in fly casting and fly tying and is an avid fly fisherman. 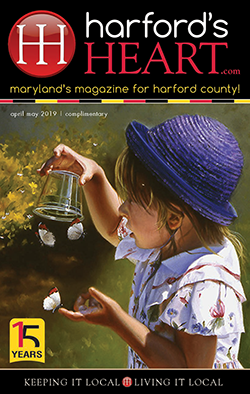 Howie has fished nearly every inch of the many streams in the county and has written about his adventures for Maryland’s Fisherman’s Annual. Dawn has lived in Harford County for more than 30 years. She has learned to fish fairly well from Howie and enjoys tying flies. Like Howie, she is a talented chef and enjoys creating new ways to cook their catch on the rare occasion that they decide to keep it. Marta Markline Kastner is the passionate owner of Affairs Extraordinaire by Marta. Combining over 30 years of experience in catering, baking, wedding and party planning, it is her goal to provide you with helpful wedding planning tips. Since 2015, Marta has dedicated her time to exclusively planning and coordinating weddings and events. She strives to create a stress-free wedding for her clients’ dreams with high quality results that bring happiness for years to come. Through her column, Happily Ever After, Marta will be passing on some of her knowledge to help you create your dream wedding. When not working with a bride or planning a party, she enjoys time with her husband, three dogs and a cat, camping and her three beautiful grandgirls! Nicole founded her dream salon Coco Leigh Hair Boutique in October 2014. She has been in the cosmetology industry for five years and has enjoyed the successful opportunities that life, hard work and good mentors have provided her. After establishing a degree in graphic design, with a focus in photography, Nicole chose to incorporate both the design and cosmetology industries together. She has created a blend of the two within her business by portraying creative beauty and archiving it into the fashion industry. Nicole’s hair specialties are in Hair Extensions, Multidimensional/ Balyage color and Special Occasion/ Bridal up styles. Her motto is “Be your own Beautiful” and she lives it everyday in her own delightful way! Jenna has had the pleasure of assisting homeowners with making their “house” into their “home” for the past 15 years. Recently, she expanded her talents to commercial properties and occupied home staging consultations. After working as a public-school teacher and director of a private school, she utilizes her teaching skills to educate homeowners about staging, design principles and the importance of loving the space you live in. Jenna believes that your home should tell your story, reflect your personality, and that a warm, welcoming, comfortable home should be accessible to everyone. With this in mind, she caters to a broad client base by offering affordable, customizable design services that meet a variety of needs and budgets. It’s her unique approach that sets her apart from others in the interior design field. Using her talents, creativity and genuine love for her craft, she helps others turn their home into a space that, “makes their heart smile.” Jenna is honored to share her expertise and passion for design with the readers of Harford’s Heart. To learn more about Jenna and her company Jenna Nicole Interiors visit her web site at www.jennanicoleinteriors.com. After Larry’s father, Music Land founder Joe Noto, passed away in May 2015, Larry left his career in marketing to take over the store and keep his father’s legacy alive. Larry most recently served as Director of Marketing and Communications for the National Aquarium in Baltimore’s famous Inner Harbor. Before that, he was Director of Marketing for Harbor Magic Hotels and Travel Media Manager for Visit Baltimore. Noto is also a stand-up comedian on the side who has opened for such major headliners as Brad Garrett, Lewis Black, Richard Lewis, Paul Reiser, Brian Regan and many others. He’s the author of the book “The Opening Act: Comedy, Life and the Desperate Pursuit of Happiness” cowritten by author and long-time Sun columnist Kevin Cowherd and a recipient of an EMMY Nomination by the Baltimore/DC chapter of the National Association of Academy Arts and Sciences for his work on WMAR-TV’s Rodrick’s for Breakfast show. Larry currently serves on the board for The Maryland Center for the Performing Arts and the Harford County Arts and Culture Advisory Board. Music Land has been named One of the top 100 music stores in the world by NAMM (National Association of Music Merchants), as well as being recognized for the ‘Best Store Turnaround” by NAMM. Born and raised in Harford County (with family roots dating back to the Bush Declaration), Jackie has a unique appreciation for all things Harford. After obtaining a degree in secretarial skills and heading off to work, she soon realized her passion was for writing rather than typing and editing other authors’ works. She went on to obtain a degree in Information Management and pursued a career in technical writing, settling into the contracting world at Aberdeen Proving Ground. In her spare time, Jackie is an avid quilter and seamstress. She is also restoring a historic Victorian home in Aberdeen and becoming an active member of her community. When she’s not quilting, writing, sewing or working in her garden, she can sometimes be seen at local antique car shows sitting behind the wheel of her prized 1955 Chevy. Ashley arrived in Harford County in 2004, following her husband Jason’s career on active duty with the Army, which had included postings in North Carolina, Georgia, Alaska, Ohio and New York. Her life-long passion for photography dates back to her high school years in New York State, when her dad gave her her first” real” camera, enabling her to explore and develop her view of life. “I am, at heart, an optimist and I truly enjoy finding the beauty in everything.” As a natural light photographer, Ashley focuses on the subtleties of her subjects, from ordinary objects that somehow are transformed by her lens, to wedding photography, family and child portraits, sports and school celebration. Recording the ‘before’ and ‘after’ moments of fashion makeovers for The Style File showcases Ashley’s talents and skill in capturing the moment as a memory. You can learn more about Ashley by visiting her web site at www.ashleyrehermanphotography.com. The attention to detail required for the production of our calendar of events – both online and in the bimonthly magazine – is matched by resourcefulness in researching and screening the many entries that we receive from community groups, individuals and businesses. Fortunately, as our “Calendar Girl”, Amy brings a natural level of organization that she heightened in her years of administrative work at Towson University’s Advancement Division and Foundation Offices. Like many of our staff, Amy is a “transplant” who quickly became a fan of Harford County after moving here from Parkville. “You feel like you’re out in the country, but you’re close to everything – which makes it easy to Keep it Local!” In addition to volunteering at school for her three sons and being involved with their sports activities, Amy participates in many community events. She’s always interested in finding more events to include in our calendar, which is updated online every week. An enthusiasm for helping others and a firm belief that excellence is achieved through commitment and effort are behind Debbie’s personal and professional life choices. The energy that she brought in her careers as a teacher, coach and as a Certified Personal Trainer and Group Fitness Instructor, is a testament to her passion for a healthy, active lifestyle. Clients at Forest Hill Health and Fitness are encouraged by her common sense approach to fitness and her knack of presenting the most ambitious challenges in attainable, achievable goals. Her daughters and husband share her enthusiasms and readers are inspired by the recommendations and helpful tips in her regular columns – Staying Fit and Healthy Choices.